The story of the Lanškroun Museum begins in 1905. 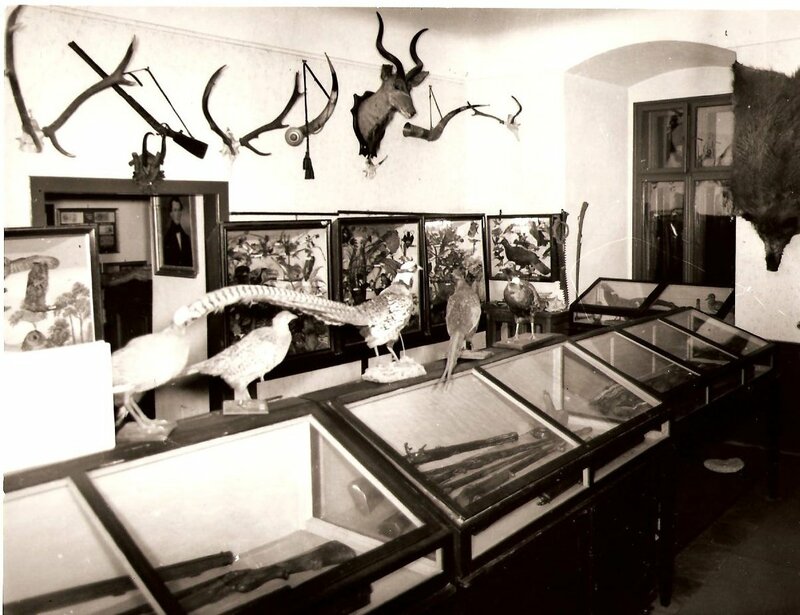 The administration of the museum was then controlled by the Curatorium (museum’s executive committee), whose task was to assemble museum collections and look after them. For this purpose rooms were made available at the building of the current Primary Art and Music School on Alois Jirásek Square (former Josef Square). 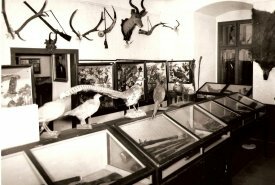 In 1906 a society supporting the museum was founded. 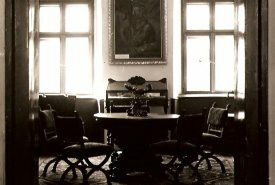 Over the years, the museum premises have enjoyed an itinerant progress through Lanškroun’s real estate (pitching up at the castle, town hall and the workers’ co-op store), until eventually being given a more settled berth in the castle. The permanent historical exhibition here then extended across several rooms. 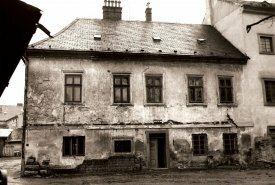 But even in 1960, museum curator Jindřich Chládek complained of inadequate space and planned to complete the unfinished reconstruction of the castle. On September 5, 1992, the newly reconstructed museum was officially reopened by the town’s mayor Jan Špičák as a regular cultural institution with a new permanent exhibition on the history of the town and its principal figures (exhibition architect Ing Arnošt Wagner, designers Josef Procházka and Oldrich Šlégr, script PaedDr Marie Borkovcová in cooperation with Karel Uhlíř). 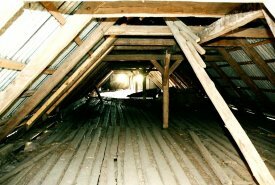 Building works were carried out by Lanškroun Construction Company. In 1996, the exhibition area of the former stables was expanded to host a gallery. The following year saw the opening of another permanent exhibition - Room of Coins and Medals - by the academic sculptor Zdeněk Kolářský, followed in 1999 by the long-term exhibition Glassmaking in the Border Country between Bohemia and Moravia. In 2002 the Memorial Room of composer Jindřich Praveček was built, and in 2005 the display of works by Zdeněk Kolářský was extended to occupy the gallery’s attic spaces. 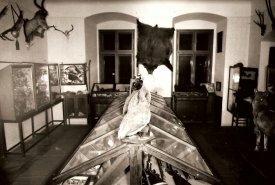 Few people know that the museum once possessed rich collections of natural history specimens - butterflies and beetles – or that they were destroyed over time due to poor management; part of these collections were handed over to the Municipal Museum in Králíky. 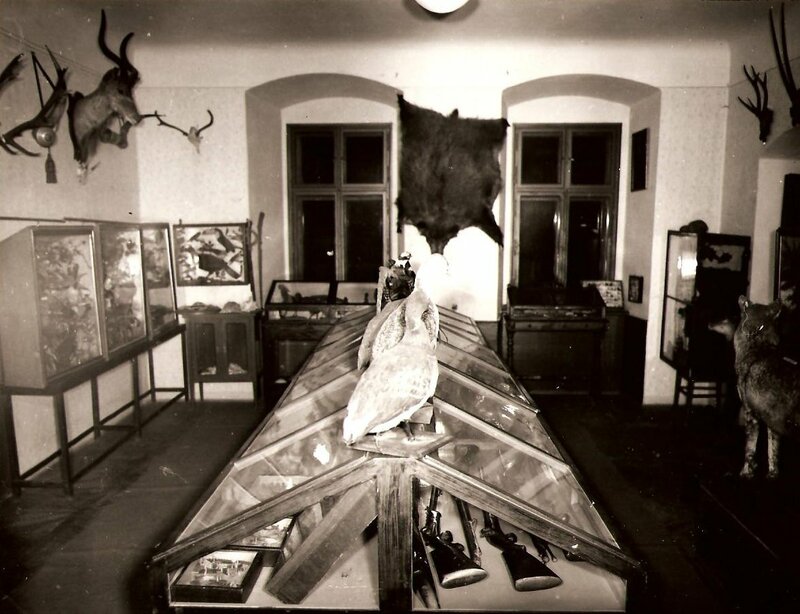 Other losses include Lanškroun’s Erxleben pharmacy from the 19th century, which was shipped off to Žamberk Museum, and the theft from the museum in the 1980s of valuable weapons. 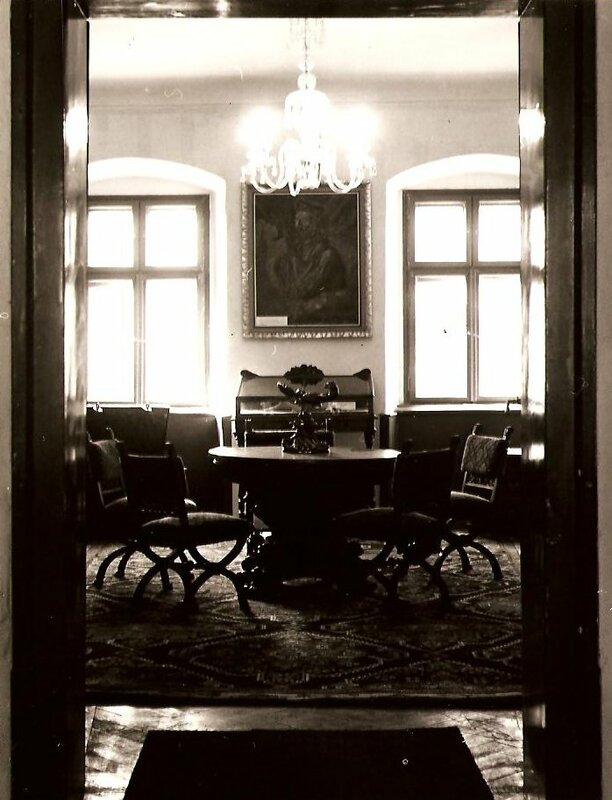 Several people have entered their names into the history of the institution: its founder and town chronicler Norbert Riess, its administrator from the 1930s Julius Jaschenský, chronicler and archivist Jindřich Chládek and the museum directors Jarmila Kovaříková (1980s) and Marie Borkovcová (since 1990). Norbert Riess (b. 1855 Lanškroun, no. 38 Žichlín Suburb; d. 1920 Lanškroun) was the founder of the Lanškroun Museum of National History (1905), administrator of the municipal archives, town chronicler and national historian. He was also a soap maker, farmer and property owner and participated in public and community life. Riess was a member of the municipal council in the years 1888-1891 and 1906-1909. He wrote a brief history of the Lanškroun burgher marksmen’s club (1909) and published an overview of the municipal archive documents (1909), the Brief History of the Town of Lanškroun (1912) and the History of the Augustinian Convent in Lanškroun and Later All Saints Monastery in Olomouc. These brochures were printed by Lanškroun printer Josef Czerny. Norbert Riess was also an award winner for his literary work. Jindřich Chládek (b. Mar. 4, 1897; d. Dec. 11, 1980) was the town’s chronicler, administrator of the Lanškroun Museum and provincial archives, as well as registrar and secretary of the municipal national council. Born in Výprachtice, he was brought up by his mother. After finishing the municipal school he was apprenticed to his uncle, a confectioner in Rudoltice. He then fought in the First World War before working in its aftermath as a secretary for Kutná Hora district council. In 1945 he returned to Lanškroun and accepted the office of council secretary. Following in the footsteps of his predecessors, he went on to keep the town chronicles for twenty-six years (the first Lanškroun chronicler was Vincent Pernikář). 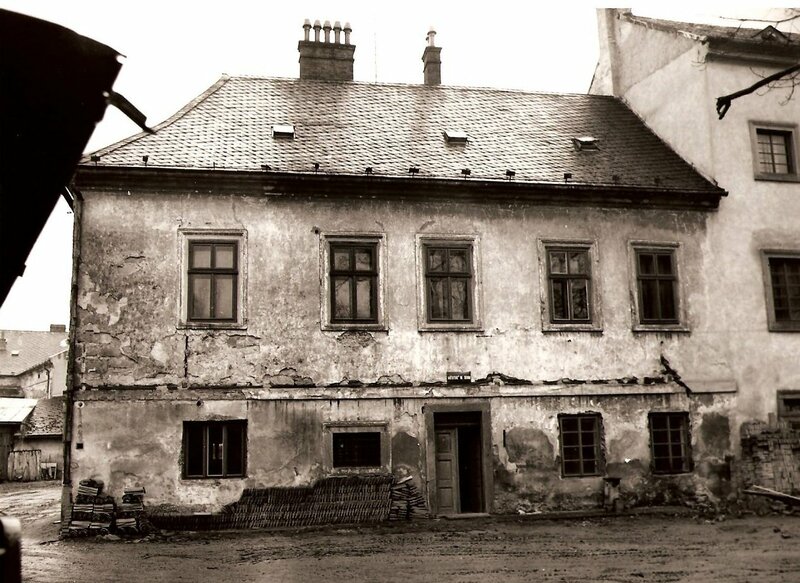 Other important work taken on by Jindřich Chládek included looking after the district archives in the years 1953-1960 and museum administration until 1970. His correspondence with the regional authorities revealed that he had tried to establish a new permanent museum exhibition, with departments of natural history, history and a municipal gallery. 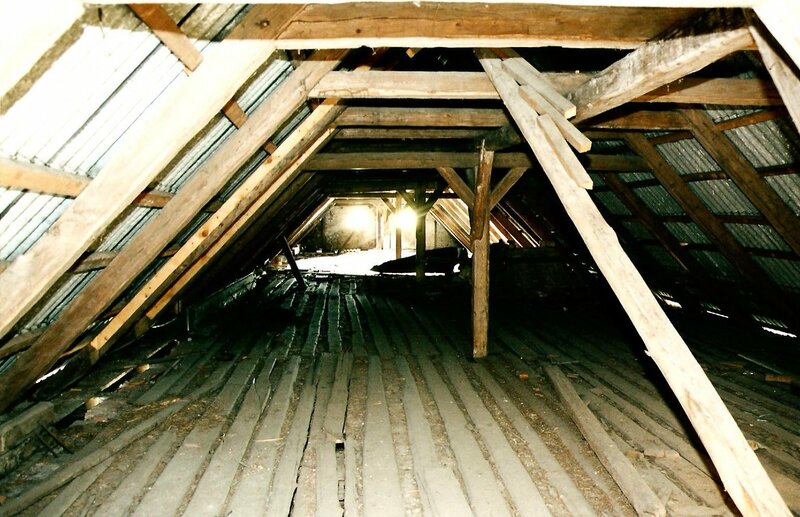 Unfortunately, the authorities remained deaf to his efforts and pleas during his lifetime. Jindřich Chládek received several awards for his work in the field of culture. He is a fine example of an exceptionally hard-working man possessing admirable knowledge and love for the town, the history of which became his lifelong hobby. He made a significant contribution to regional historical research and to popularizing the history of our town. For eleven years he wrote engaging articles about the town’s history for the Lanškroun Culture Newsletter, with titles such as The Town Gates, The Town Walls, The White Cross, Reverberations of the Seven Years War, The Emperor’s Stop, Happy Memories from the Time of Railway Projects, and more.